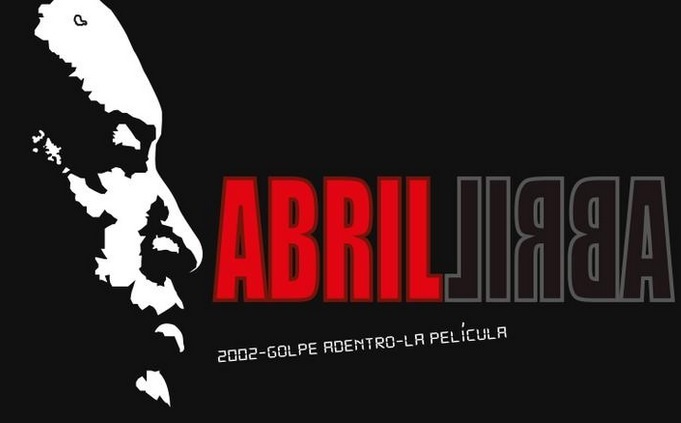 La Villa del Cine is working on a movie about Hugo Chavéz’s brief deposing during April (11th, 12th, and 13th) 2002. This is a core moment in Chavista mythology, it revamped Hugo Chávez’s weakened popularity and defined a new pace for Venezuelan politics for the years to come. Telling the story of April 11th is easy from the chavista perspective. For them, it is a well rounded tale of conspiracy and treason. It has a beginning, a middle, and an ending. A structured story that ends with the rebirth of a hero. Plus, all the bad guys are identified and dealt with. For the opposition the story is different. April 11th is an open ended story. Even when the April 2002 events left several civilians dead, a solid investigation on the murders was never conducted, and the few trials that took place seemed more like a reckoning for the chavista masses than a true search for justice. we avoided turning Chávez into a hero, regardless of our own criteria in that respect, we wanted to act like investigators, we tried to have the facts speak for themselves. Yep, they’ll be objective. No one cares who’s paying the tab. The movie is a production of Villa del Cine, Divarte Cine, AlterMedia, and the Special Plans and Projects Office of the Presidency of the Republic (OPPPE). And guess who’s featured all over the OPPPE’s webpage, Mr. Ex-Minister of boloney himself. So maybe we’re not only giving away TV sets to get him elected, we’re also making a movie. As we wait for the movie to hit theaters, I can’t help but wonder who will play the role of Leamsy Salazar, the Bolivarian Hero turned DEA informant.